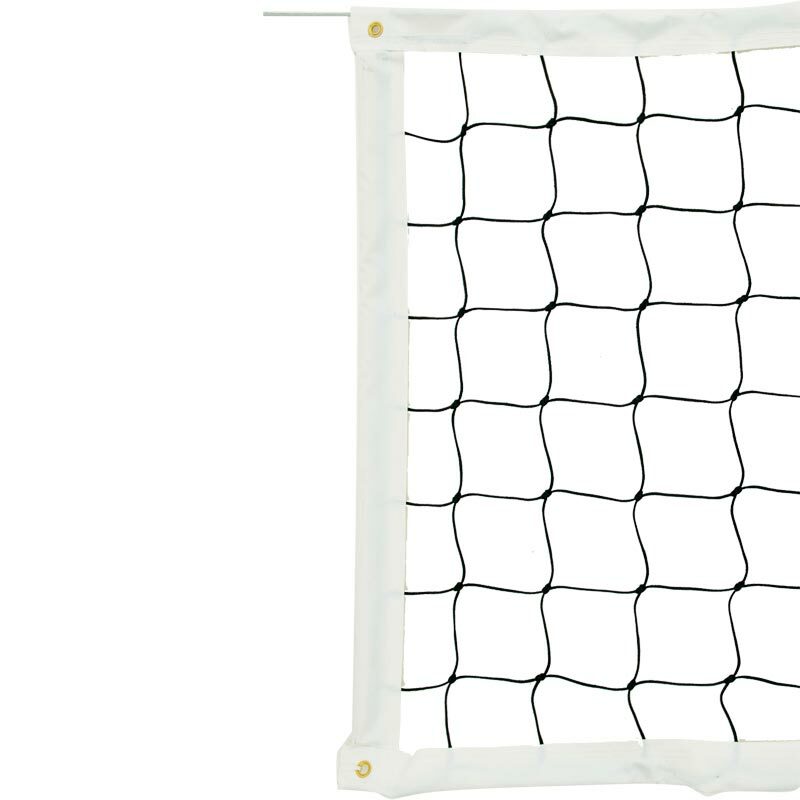 Harrod Sport ® Match Volleyball Nets are 9.5m long x 1.0m high and are British Volleyball Federation approved. Made from braided heavy black polythene 10cm square mesh. Regulation Net. Harrod Sport code VOL-001. 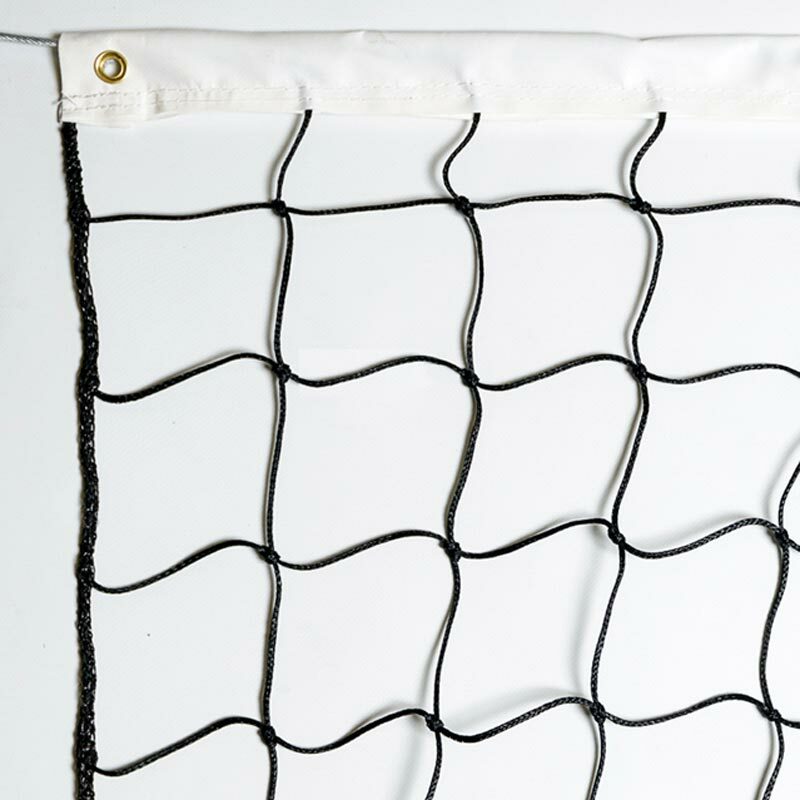 Regulation net made from 3mm braided black polyethylene. Vinyl coated nylon headband complete with PVC covered galvanised steel wire headline. Vinyl coated sidebands with enclosed wood dowels. Match Net. Harrod Sport code VOL-002. Vinyl coated nylon headband complete with PVC galvanised steel wire. 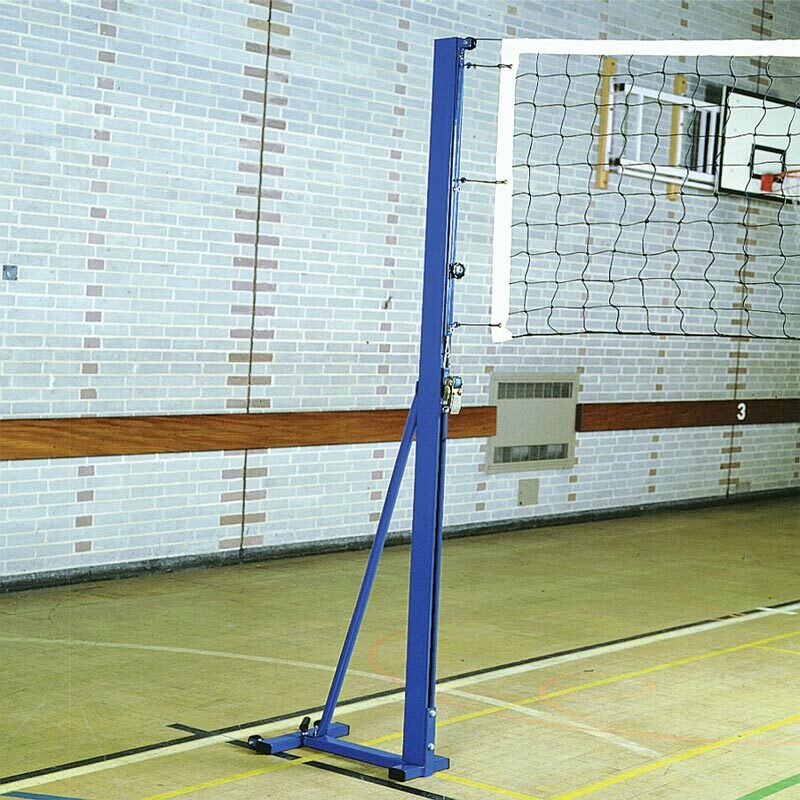 Volleyball posts need to be ordered separately.